Welcome to Premier Dental, your family dentist in Lee’s Summit. Our brand new state-of-the art dental office is located in southeast Lee’s Summit, MO. Dr. Stephan D. Caye, DDS and his friendly team are committed to providing premium dental care in a comfortable and convenient setting. Let our schedule work around yours with convenient early morning appointments, evening hours, and weekend emergency services. Our advanced technology, including digital x-rays and same-day crown machine, will save you time and make sure your family receives the highest quality dental care available. You’ll be pampered and your kiddos will be entertained while in our care. If you’re looking for a dentist in Lee’s Summit, let us show you the Premier Dental experience by scheduling an appointment today. Premier Dental features the latest technology in order to deliver the highest-quality dentistry. 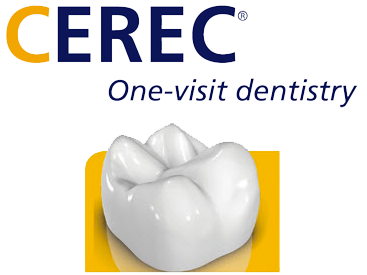 CEREC CAD/CAM (computer aided design/computer aided manufacturing) is the most versatile tool in our office and its primary advantage is that we can fix broken-down teeth in a single visit. This eliminates the need for messy impressions and waiting two weeks or more while wearing a temporary crown. This design software also allows Dr. Caye to create beautiful veneers, inlays, and onlays that can greatly enhance your smile. From start to finish, we will have you smiling again within 90 minutes. "The staff at Premier Dental is very friendly and helpful. They verified and explained my dental benefits for me. Dr. Caye was very informative and gave me several options for treatment. I feel that I was well taken care of at my first visit and look forward to my next visit with Dr. Caye." "ClearCorrect was a great option for me to enhance my smile. Dr. Caye was able to straighten my teeth without using traditional braces. I enjoyed being able to remove the trays to eat and brush my teeth as I normally would. The trays were comfortable to wear and most people couldn't even tell I had them in. Thanks for my new smile Premier Dental!" "My 7 year old daughter was seen by Dr. Caye for a yearly check-up. She really enjoyed the kid tablets provided in the waiting room at Premier Dental. Her visit was great and she hasn't stopped talking about how much fun she had with the hygienist. Thank you for taking the time to show her how to brush her teeth properly." "I was seen by Dr. Caye for a severe tooth ache. He presented several options to save the tooth, but ultimately I decided to have my tooth pulled. He was very gentle and made sure I was comfortable throughout the entire procedure. Dr. Caye followed up with several phone calls to check on me, and even met me on a weekend when I was concerned about my stitches. Dr. Caye went above and beyond to make sure I was comfortable." "I visited Dr. Caye because I had a broken filling. Dr. Caye was able to take a picture of the tooth and then show me how bad the damage was on a TV screen. From previous dental experiences, I expected to have to wait 2 weeks for my permanent crown to be made. However, with Premier Dental's technology Dr. Caye was able to make my crown in under 2 hours. It was really cool to watch the machine make my crown right in front of me. Now my tooth looks natural and feels great when I bite down. The entire process was quick and painless." (816) 600-6330 Staff@PremierDentalLeesSummit.com Check us out on facebook!